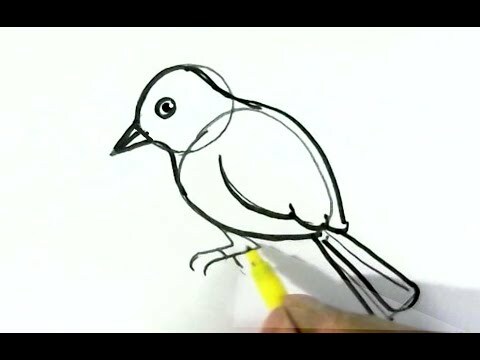 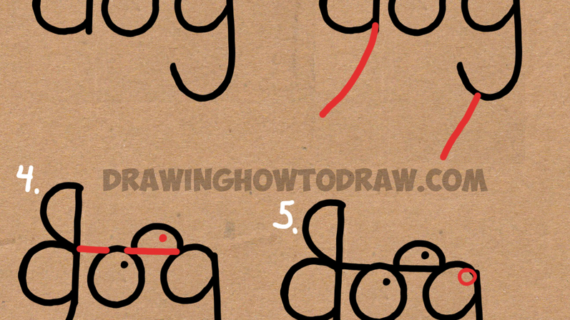 (Step 3) Draw a curved line connecting the letter ‘o’ to the letter ‘g’. 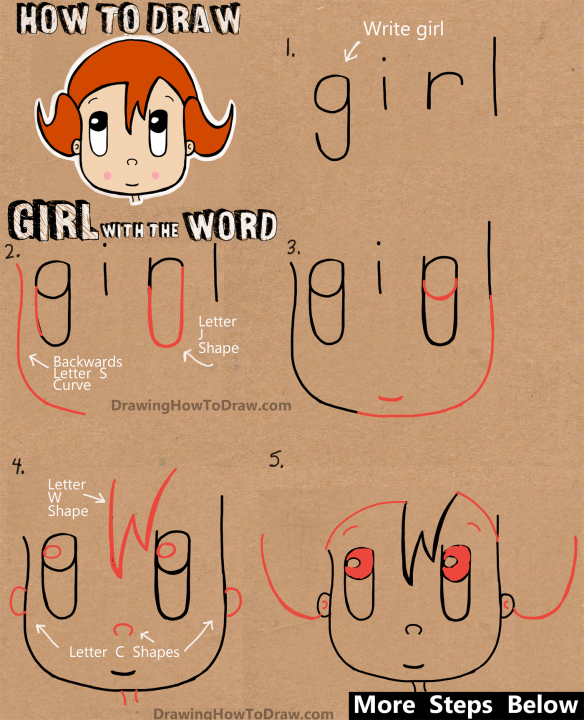 Also draw a line down from the backwards ‘B’ and from the ‘g’ for the neck. 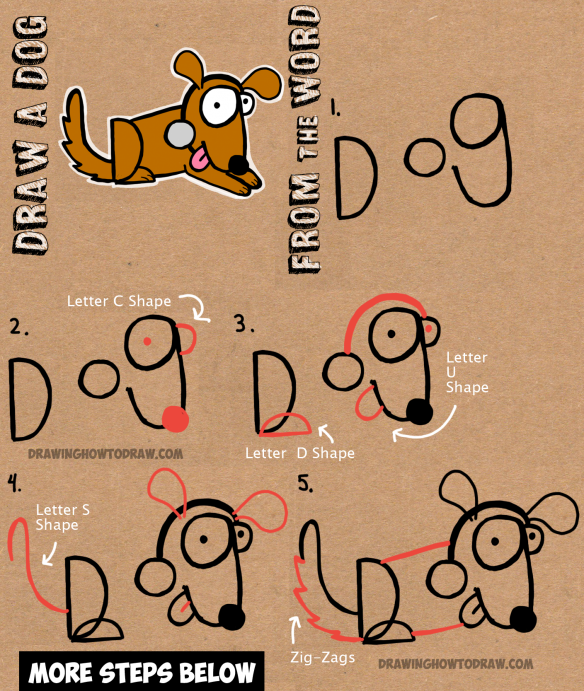 (Step 5) Draw a circle in the letter ‘g’ for the highlight on the dog’s nose. 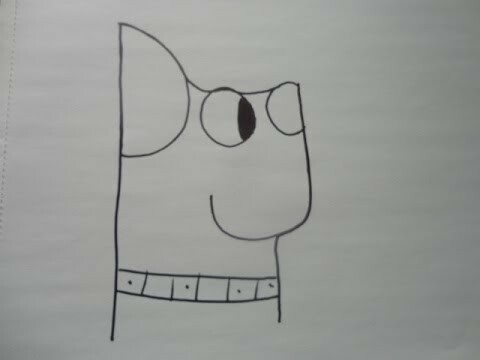 Draw 2 curved lines for the dog’s collar. 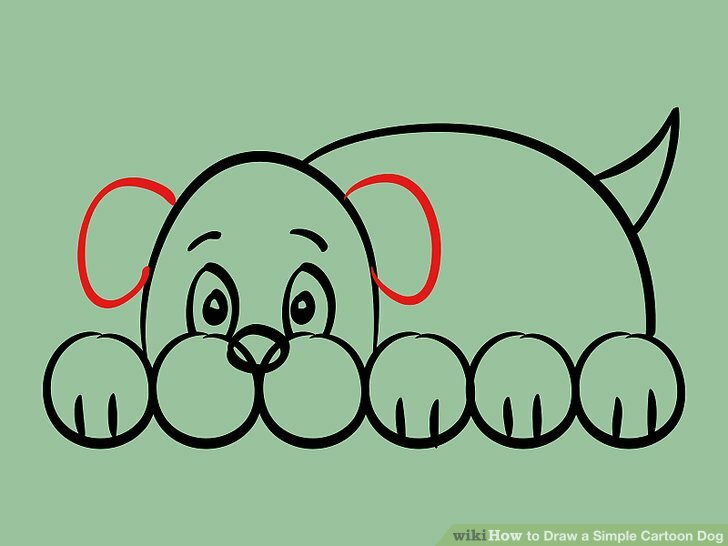 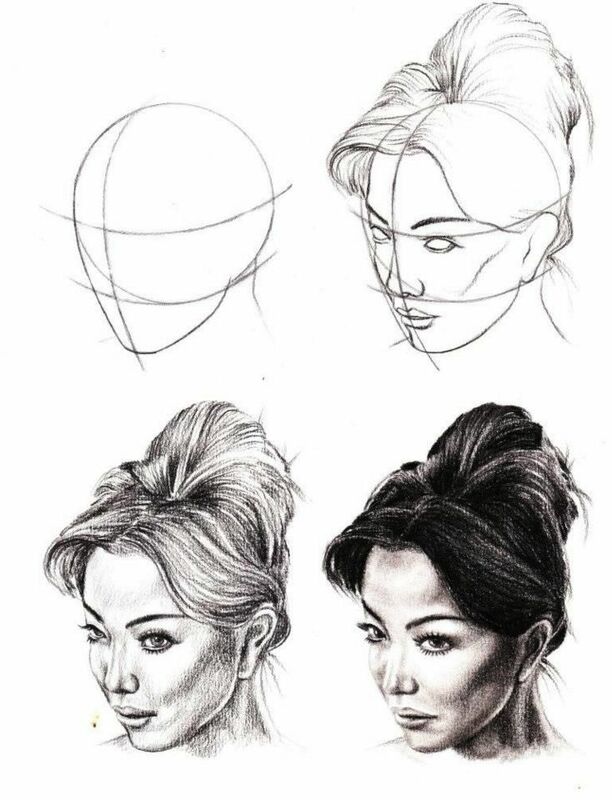 (Step 4) Draw a line for the top for the dog’s face. 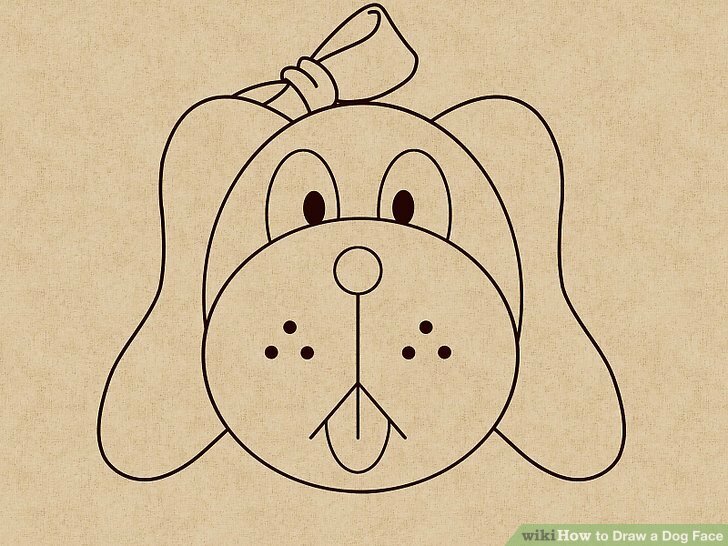 Draw a dot in the eye of the dog. 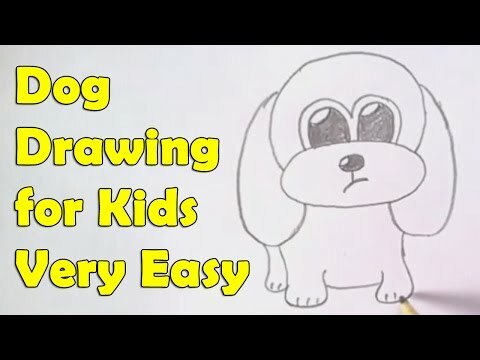 Draw a curved line for the dog’s smile. 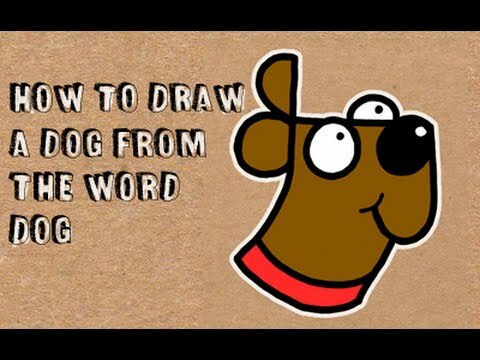 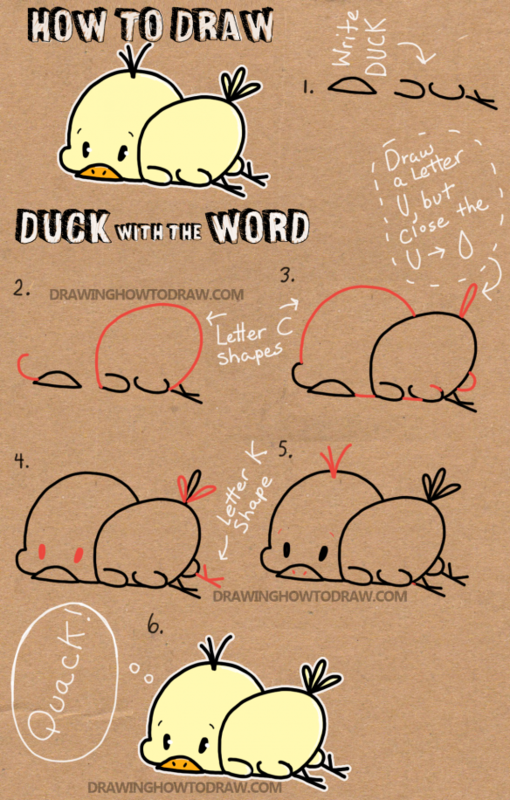 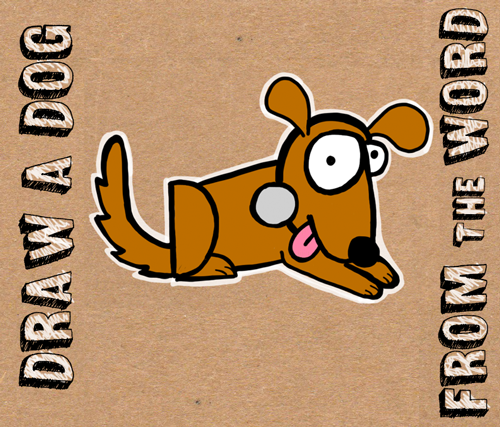 Learn how to draw a cute cartoon dog’s face out of the word ‘DOG’ with the following simple steps. 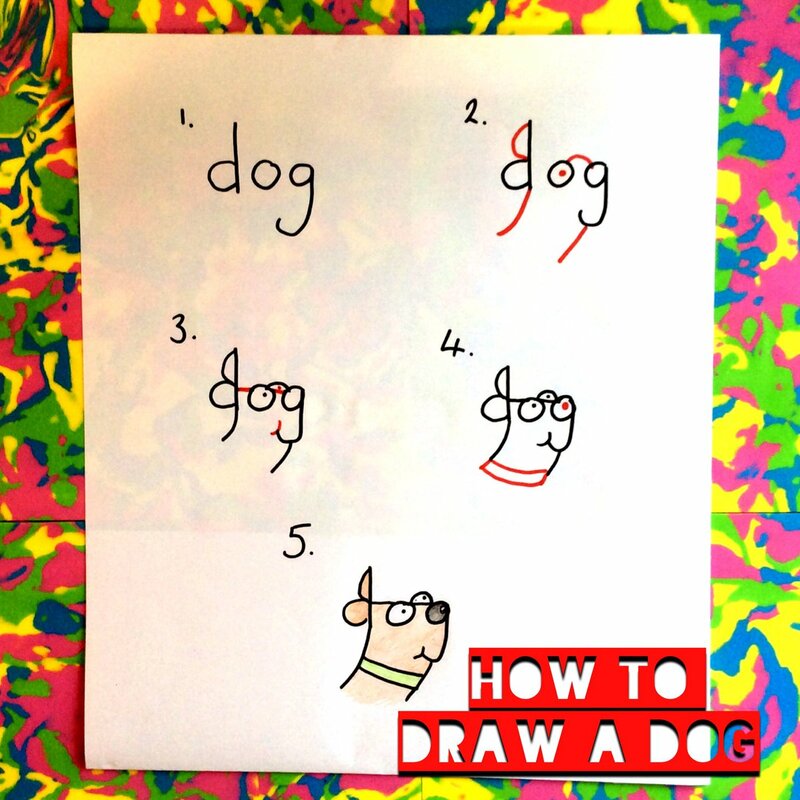 Can you write the word ‘dog’? 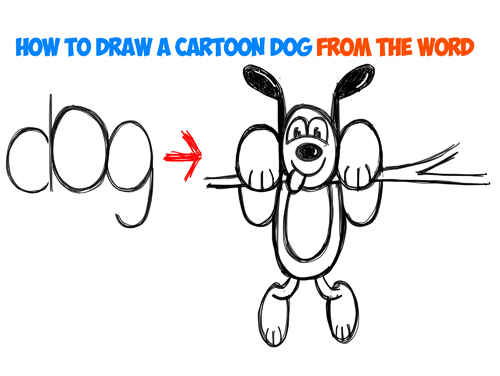 If so, then you will find it very easy to draw this cartoon dog. 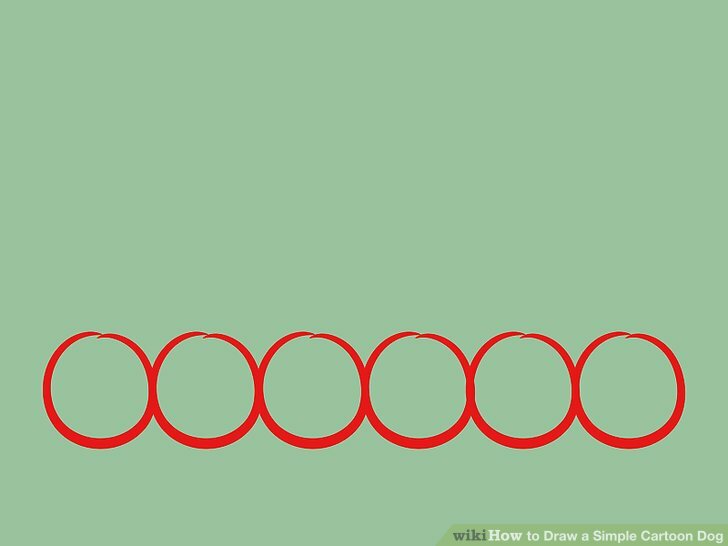 I saw a cool video on Facebook the other day that showed a cool way to do this, so I’m sharing it today. 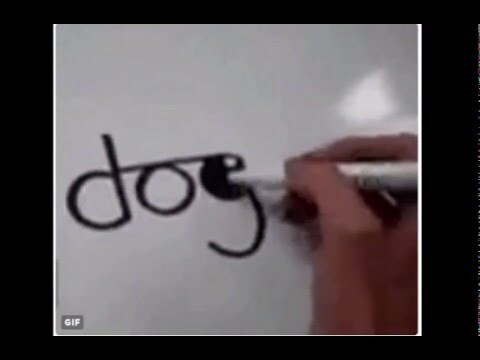 If you know where I saw it, please let me know and I’ll link to it. 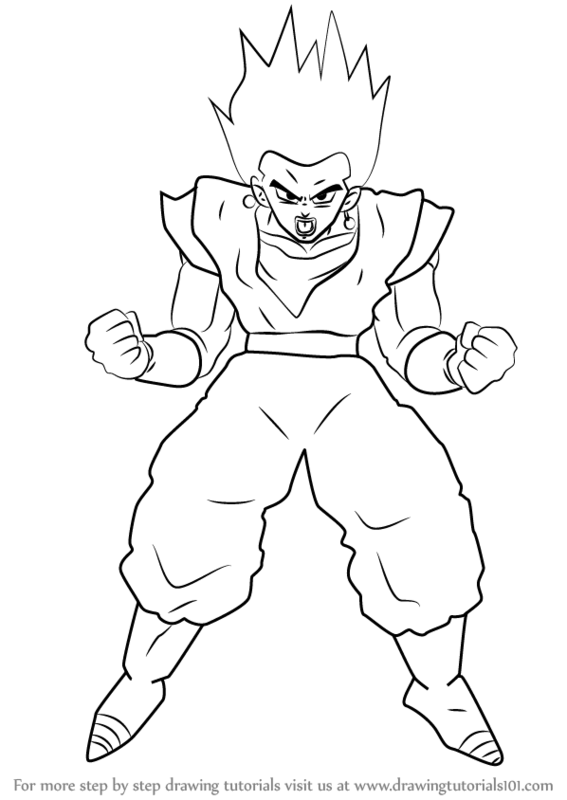 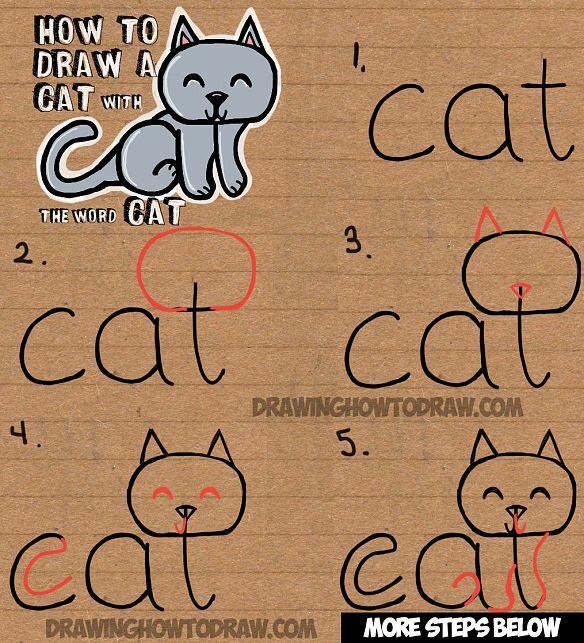 (Step 2) Add a letter ‘c’ to the lowercase ‘d’. 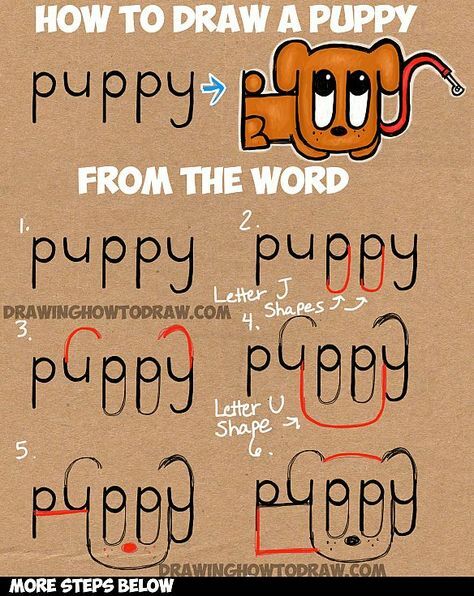 Now it should look like a backwards letter ‘B’. 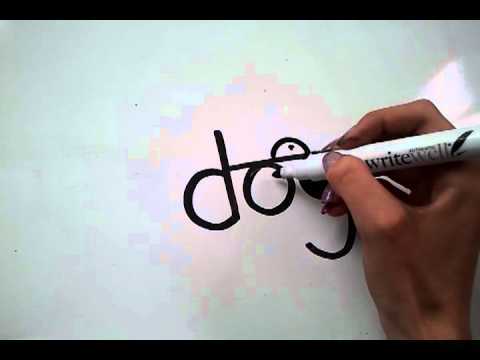 Draw a dot in the letter ‘o’.